Joe Ligotti leaves theguyfromboston.com. 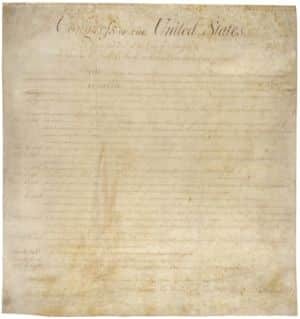 He is a price of a robust First Amendment | Jon Katz, P.C. Last December 21, I blogged about xenophobic (at best) Joe Ligotti, who posted his rants every Wednesday on www.theguyfromboston.com. He can be very engaging and entertaining, which makes him all the more scary. Response from Info@theguyfromboston.com: “The actor that previously played ‘The Guy from Boston’ for us decided to go in another direction. Our web site and its message continues, and as always we hope you enjoy it.” The actor? Does that mean that I was not off the mark last December when I wrote “I wish to learn that Ligotti is no more real than Borat, but am not holding my breath”? On the same day that I posted my above-listed inquiry to theguyfromboston.com website, a story appeared online that Ligotti had signed an exclusive management publicity deal with Balboni Communications Group, LLC. A report on BusinessWire says “YouTube pulled down more than 100 of Ligotti’s videos citing ‘inappropriate content.’” However, not all his videos are YouTube-banned, unless YouTube is currently on a search and destroy mission against them; many are currently on other people’s YouTube account pages. Keep in mind that YouTube got taken over by Google.com last year, the same Google that — along with Yahoo and Microsoft and Cisco– has kowtowed bigtime, at least in the very recent past, to the Chinese government. Does that help explain how Ligotti’s YouTube account got yanked? Or, did Ligotti yank it himself and then claim that YouTube did it to him? On the one hand, the Ligotti YouTube video that I uploaded to my original Guy from Boston post got yanked at some point. On the other hand, I applaud Google for apparently doing less stringent self-censorship of its Chinese site today than it did when this PBS story ran, at least with respect to a Google image search today for “Tiananmen Square”, which results in Tank Man images for both the English and Chinese Google sites (see here and here), where before that was not the case. For at least several months, if not more, Ligotti has been appearing on local and national television, clearly more toned-down than his F-bomb laden self-produced videos. Does anybody know if Ligotti left theguyfromboston.com because he sold the site, because he thinks he found bigger fame on television, because YouTube yanked his account, or because his character really was no more real than Borat? I prefer to learn that his fifteen minutes of fame are over. Jon Katz. – Theguyfromboston.net is up and running since March 24, but was not running on March 23. The site suggests that a video rant is coming this Wednesday to respond to Ligotti’s loss of access to theguyfromboston.com. – As an aside, it is beyond humorous that American Express as of today is promoting itself with an advertising link on the f-bomb-connected guyfromboston.com. Is American Express loosening its advertising selectivity in the hunt for the almighty dollar, or are the heads of the company not up to date on the activities of its front-line advertising people?